Dillon M and Chadwick N 1967. Celtic Realms. Filppula, M., Klemola, J. and Pitkänen, H. (2001). The Celtic roots of English, Studies in languages, No. 37, University of Joensuu, Faculty of Humanities, ISBN 9 5245 8164 7. Hawkes, J. (1973). The first great civilizations: life in Mesopotamia, the Indus Valley and Egypt, The history of human society series, London: Hutchinson, ISBN 0 09 116580 6. Jackson, K., (1994). 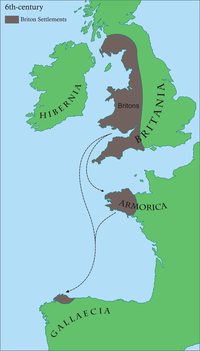 Language and history in early Britain: a chronological survey of the Brittonic languages, 1st to 12th c. A. D, Celtic studies series, Dublin: Four Courts Press, ISBN 1 85182 140 6.